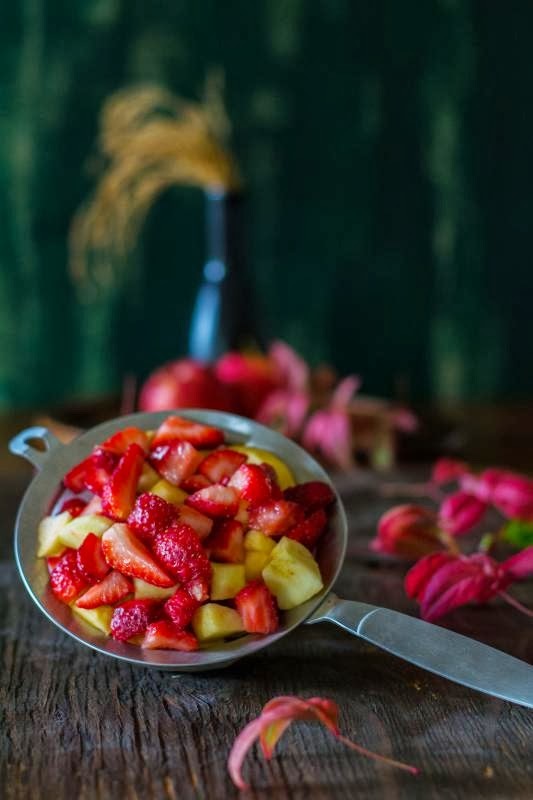 Even though you can buy a can of fruits or a bag of frozen vegetables from the grocery store any time of the year, autumn weekends are always very special when you would stroll through farmer's market and get the season's best farm fresh produce. Similarly fall is the best time of the year for food lovers. During this season, a number of delicious fruits and vegetables are ready to pick. Right now the weather is becoming cooler, but your produce choices are heating up. 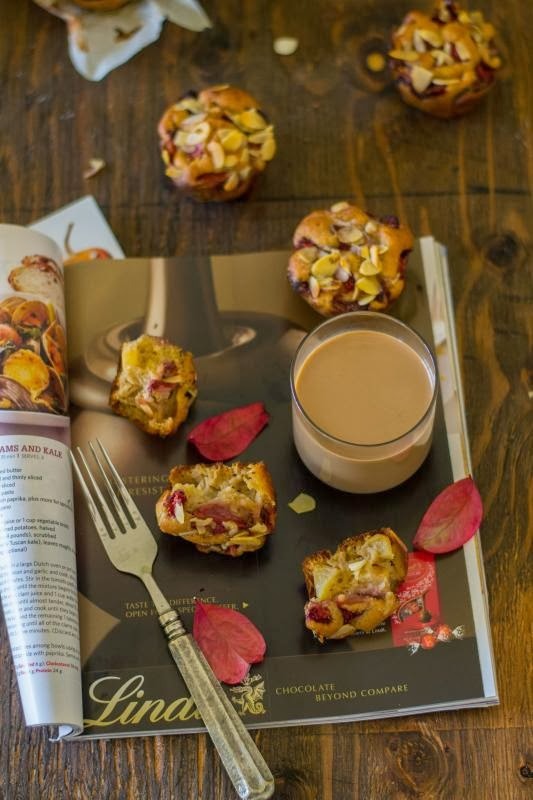 We have perfect excuses to start baking on cold nights! 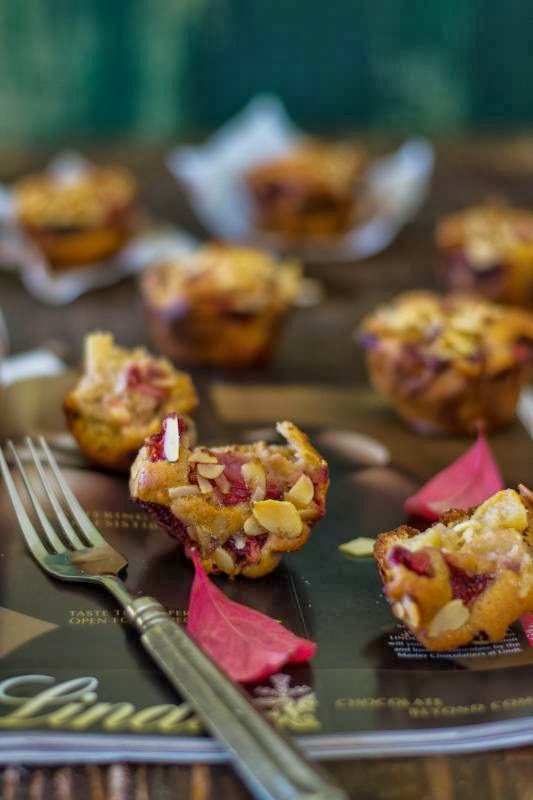 Today I would share a fall-inspired breakfast recipe which we can call, Apple, Strawberry and Almond Muffins. These muffins went for a bake sale at my son's school on fall festival. Before this event I heard about bake sale, but didn’t think of making anything for this event. One of his friend's mom asked me to bring something for the sale and so I made these muffins. The remaining muffins turned into our yummy breakfast on crispy autumn morning. These are made of Spicy cinnamon, delicious crisp of apple, strawberry and almond. 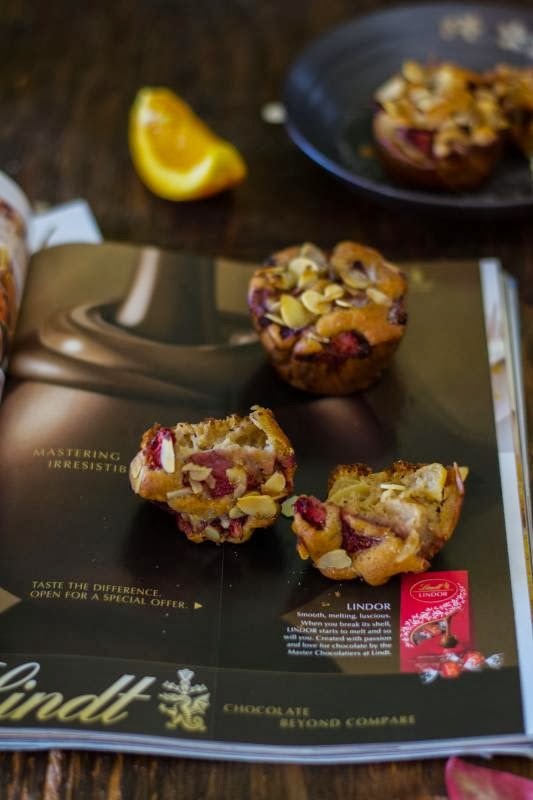 When you have fresh strawberries on your hand and fresh apple sitting on your kitchen counter, try these Apple -Strawberry and Almond muffins. This is not only delicious but very healthy too! Muffins belong to the quick bread family and these muffins are very quick to make. You need just two bowls, one for the wet ingredients and other for the dry. Combine them together, you batter is ready! Transfer it into the muffin tins and bake then till a toothpick inserted into the center comes out clean. Yummy breakfast muffins are made! If you want giant sized muffins then try this same batter for six. The recipe is adopted from the book What Katie Ate. 1. 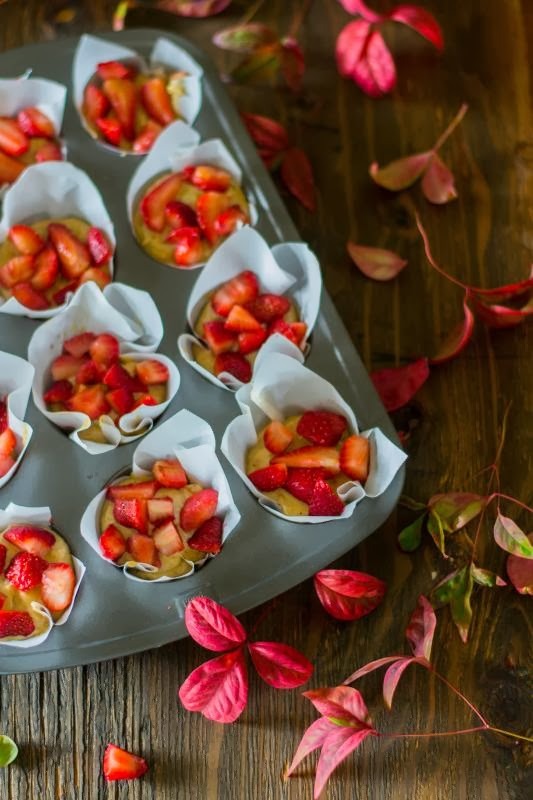 Preheat the oven to 400 degrees F or 200 degrees C. Line a 12- cup standard muffin tin with paper baking cups or parchment paper. 2. Put the flour, almond meal, sugar, baking powder, cinnamon, lemon zest and salt in a bowl and mix them well. 3. In a separate bowl, add vanilla extract, melted butter, beaten egg and 3/4 cup warm water and combine together. 4. Gradually add the wet ingredients to the dry ingredients and mix to incorporate. Then add the apple and gently mix to combine. 5. Spoon the batter into the prepared pan, fill the each cup to about three quarters full. 6. Place 2-3 strawberry pieces on the top of the each muffin. Sprinkle with almonds and brown sugar. 7. Bake 25 to 30 minutes until a toothpick inserted in the center comes out clean. 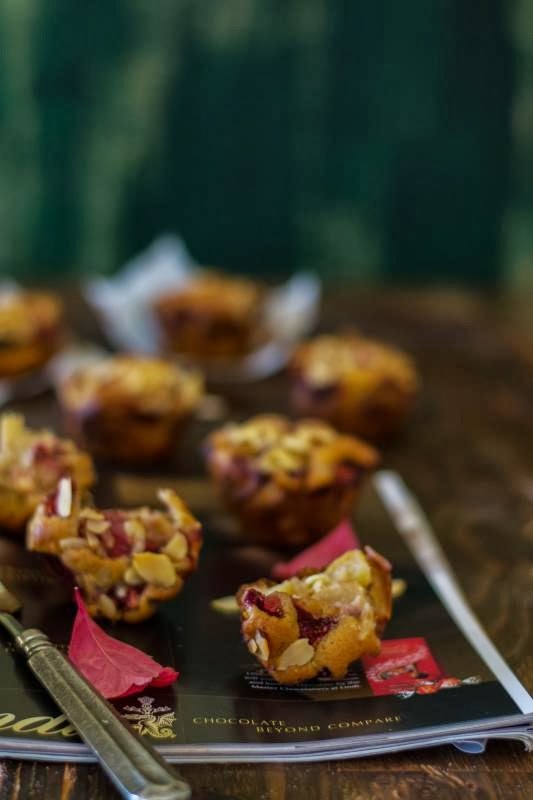 Apple - Strawberry and almond muffins are ready to serve! A yummy combination with nuts in it. Would be so good with a cup of chai in the morning, just like you've shown. Very nice.. thats a very healthy meal in morning i must say!